Can Stains and Odors Really Be Removed from Carpet And Upholstery? In homes with children and pets, odors and stains on soft furnishings and carpet are simply unavoidable. Many households with children and pets simply resign themselves to avoiding light colored furnishings and filling the rooms with air freshener. These households are familiar with the difficulty of removing really bad odors and stains for good. The question often arises – can stains and odors ever be completely removed from soft furnishings? Here we look at ways to really get your carpets and couches cleaner and the air in your home even fresher, no matter how active and busy your home is. The major issue with most stains and odors on household carpet or furnishings is that they are not new. Stains and odors that have had time to seep in and set are always going to be more difficult to completely remove. Color particles in stains can permanently adhere to and dye carpet and fabric fibers over time. Odor-causing spills and liquids can seep deep into carpet and upholstery, reaching the carpet padding or upholstery filler where the odor is much harder to remove. That’s why it’s important to treat stains and spills promptly. Blot (don’t rub) all spills and stains and choose an appropriate solution to gently clean the area. Always call a local carpet cleaning professional for expert stain removal if you can’t quickly remove the stain yourself. Your best chance of removing stains and odors is when they first occur. Clean up spills and stains immediately with at-home spot removal techniques. To draw the fluid up out of the soft surface and prevent it from seeping deeper, be sure to blot firmly with a soft, absorbent cloth. Always use a gentle cleaner and soft cloth to remove the excess staining materials from the carpet or fabric. For water-based stains like coffee, wine, and juice, use a dilution of white vinegar and water to clean. For grease- or oil-based stains like makeup, blood, or pet droppings, use a dilute mixture of a gentle dish soap (like Dawn) to lift the stain. If your stain or spill does not completely lift in the first hour or two of working on it, it’s best to call a professional carpet cleaning company to help out. For odor causing spills, it may be best to call for professional stain removal right away, as the continuing presence of odor causing particle in your carpet or soft furnishing may not be detectable until the stain completely dries. Professional stain removal allows even deeply ingrained and older stains to be lifted. Professional odor removal is much more effective at removing deep spills and odors. However, if the spill is old, multiple treatments may be needed to reduce the odor to an acceptable level. With professional techniques, cleaning solutions, and machinery, your local carpet and upholstery cleaner has a much better chance at removing even deep spills and stains to remove discoloration and prevent odors. It’s a fact that odors and stains become harder to remove as time goes by. 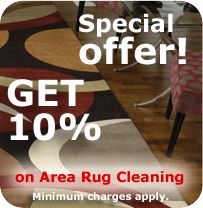 But by using professional stain removal and carpet cleaning services and treating new spills promptly, you can keep your surfaces cleaner and fresher no matter what your carpets and couches are up against.